Three suspected Jihadists who were arrested in the liberation of Timbuktu have said they were tortured by Malian soldiers who used a method similar to waterboarding. 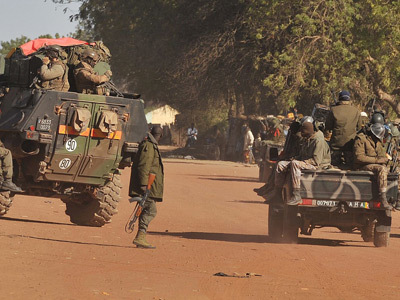 There are also reports of child soldiers being used by the Malian army. ­The three suspected militants were being held in an earthen cell in the remains of a military camp in Timbuktu, according to journalists from AP who spoke to the men. Timbuktu was freed last weekend by Malian and French soldiers after 10 months under the rule of radical Islamists, who had imposed Sharia law in the town. The men, tied together in the cell with one handcuff and a turban, all admitted to the journalists to having been members of Ansar Dine, which has links to Al-Qaeda. “To force me to talk they poured 40 liters of water in my mouth and over my nostrils, which made it so that I could not breathe anymore. For a moment I thought I was actually going to die,” said one of the men who said he was from the central Malian town of Niono. The other two soldiers spoke of similar treatment, although their account could not be independently verified. A Malian army colonel, Mamary Camara, told reporters that Malian forces arrested the men in the town of Lere and that one of them was from Libya and had been wearing a foreign military uniform and said he had a wristwatch with a memory card that he allegedly used to communicate with other jihadists. The Islamist who was allegedly from Libya gave AP contradictory information about his origin. First he said he was born in Mali but was of Libyan dissent and then said he was from Tripoli but had lived in Mali for years. He also initially denied being part of Ansar Dine, but then admitted to belonging to the movement. He was visibly frightened; cowering in his cell, according to AP. 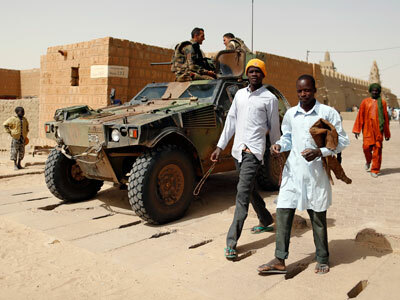 There are also reports emerging from Mali of child soldiers being used by the army. A freelance journalist in Mali, Gonzalo Wancha, told RT that in the town of Diabli many of the military forces were heavily armed child soldiers. “My brother was attacked by a group of militants. There were children among them. One of the children fired at him. 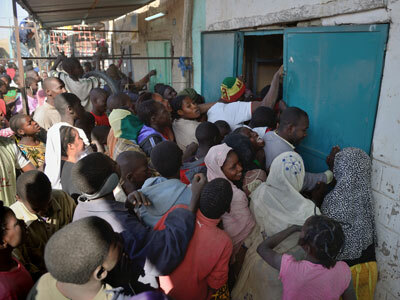 My brother fell and was riddled with bullets,” Mohamed Kandanku, a local, told Wancha. The exact number of underage youths or their exact age could not be verified. Both allegations come as both Human Rights Watch (HRW) and Amnesty International issued reports Friday of misconduct against the Islamists by the Malian army. Wancha said that civilians had been killed by the Malian army in Sevare, in the center of the country, and had dumped their bodies in a well. Human Rights Watch also reported that witnesses had seen Malian soldiers interrogate passengers at a bus station in Sevare, who they suspected of having links with Islamic extremist groups. “Before the soldiers marched them off, many of the detained men frantically tried to find someone in the crowd who could vouch for them and verify their identity. They were driven or marched to a nearby field, where they were shot and their bodies dumped into one of four wells,” the HRW report said. 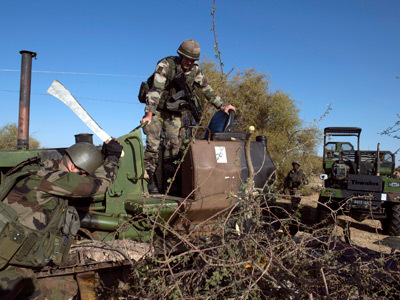 The Friday reports also stated that human rights abuses have been committed by the Islamists, who reportedly executed at least seven Malian soldiers, five of whom were wounded during the battle for the town of Konna. 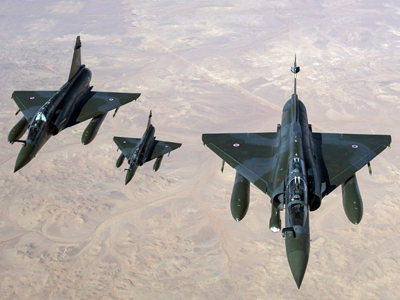 France has said that it wants to hand over responsibility for the mission to the Malian army and the armies of other West African countries. 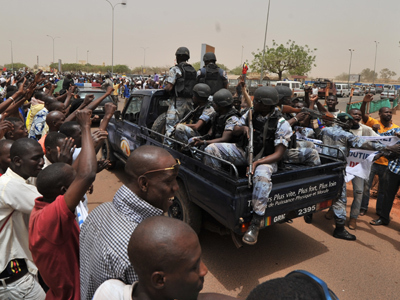 The Malian government has promised to investigate allegations of torture and other human rights abuses by its military.